What a beautiful week! Michigan produce is in full swing so the farmers markets are just beautiful right now. In fact, there is so much goodness at the markets I skipped my Door to Door Organics order this week. (But I love you always and I will be back next week!) 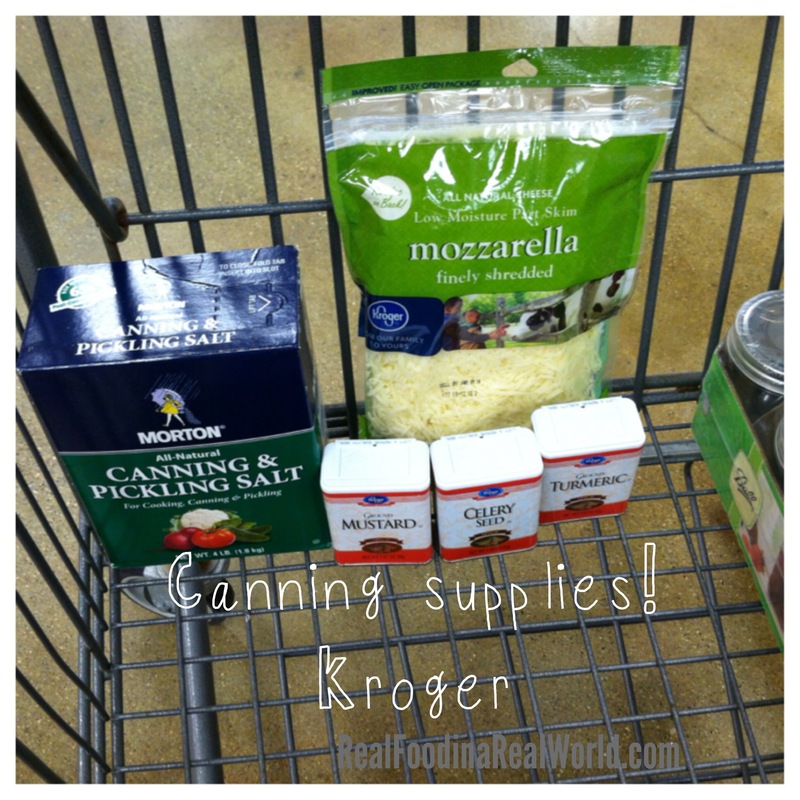 I hit three markets and one very small trip to Kroger this week for canning supplies. 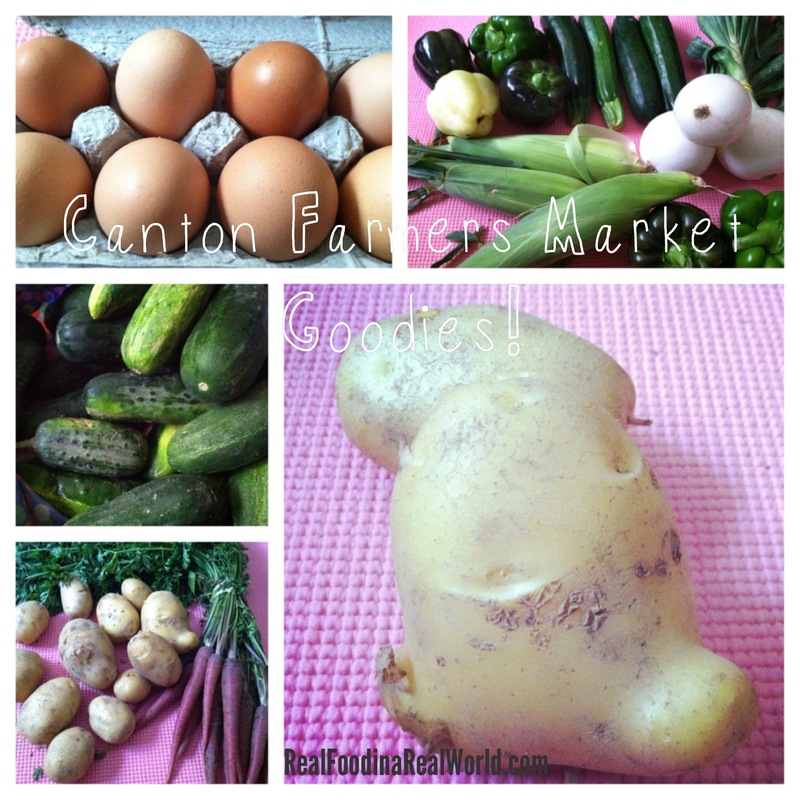 First up is the Sunday Canton Farmers Market. We bought eggs from Pure Pastures ($4), potatoes and carrots from Hand Sown Farm ($6) and from Prochaska Farm we bought corn, zucchini, 3 quarts of pickling cucumbers, tons of bell peppers, and onions ($13). Local toddler bought a cookie from Kapnicks for $1.50 as well. Total amount spent at the Canton Market was $24.50. 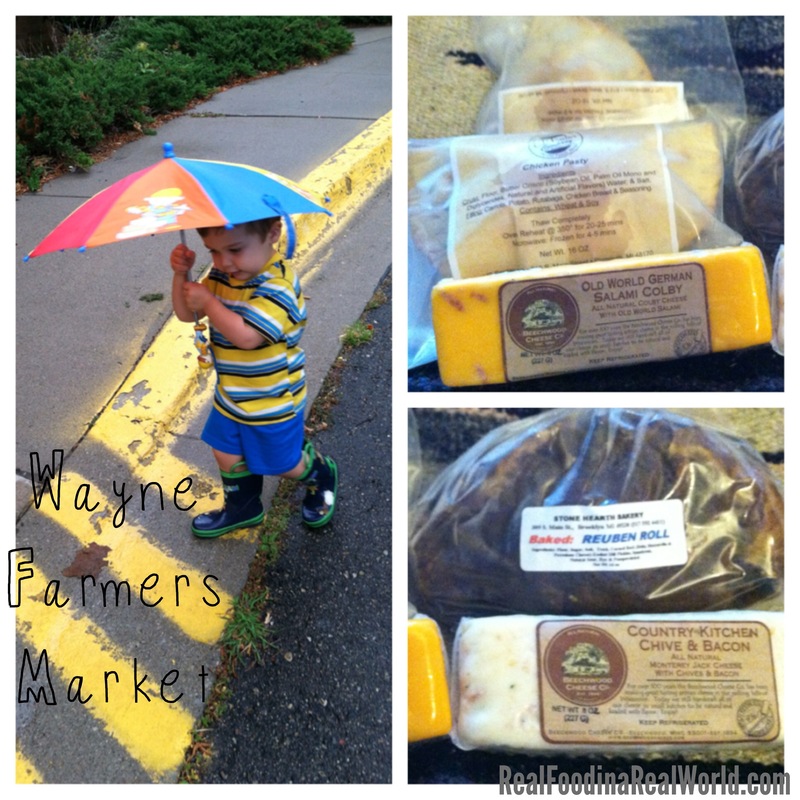 On Wednesday I finally was able to check out the Wayne Farmers Market in Goudy Park. Half of the vendors were moved into the Banquet hall next to the park due to rain. We bought 2 chicken pasties from U.P. Pasties ($11), 2 reuben rolls from Stone Hearth Bakery ($6) and local hubby bought two different types of cheese from Beechwood Cheese Company ($12). Our total at the Wayne market was $29. By the way, the pasties are deeeelicious. I will freely admit that I’m about to sound like a crazy fangirl right about now. I had a chance to talk to the awesome (and yes, adorable) guys from O’Keefe O’ganics. They are college boys who decided to start growing veggies. It’s just three guys and a lot of hard work running their farm. They do everything by hand! I was telling them that they remind me of Hand Sown Farm. I bought 3 quarts of pickling cukes, corn, cherry tomatoes ($10) and they gave me some green beans on the house. Did I mention I have a farm crush? Go check them out! They sell at the Wayne and Westland Farmers Markets. Local toddler also picked up a fig and oat vegan cookie from Macro Val. 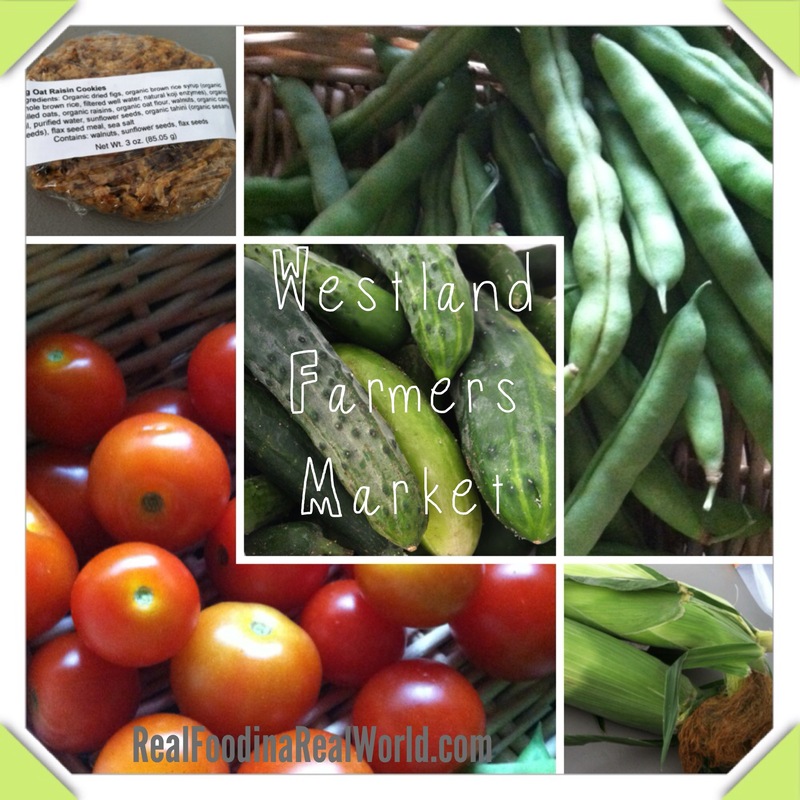 ($1.50) Our total from the Westland Market was $11.50. I also had to make a quick trip to Kroger this week. Just had to pick up some pickling supplies that I didn’t have on hand. I also grabbed some cheese for homemade pizzas. I spent $38 but that included some mason jars, and a bunch of canning lids. This makes our total for the week $66 if I don’t include the Kroger trip, $104 if I do. Great week! Put up 13 pints of dill pickles earlier this week and by the time this posts I should be elbows deep in bread and butter pickles and blueberry sauce using the blueberries in my freezer I bought at the Canton market a few weeks ago. What did you find this week? Do you do any preserving?